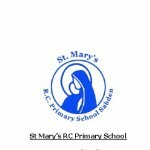 At St Mary’s we value all children equally and do our utmost to welcome everyone into our school by ensuring that we have a fully accessible and appropriate environment and curriculum for all our pupils and parents/carers – regardless of any particular need that they have. Our Special Educational Needs Coordinator is Mrs Claire Ashton, she looks after the school’s policy and also checks that all children identified as needing additional support are catered for well. Mrs Ashton is also a specialist teacher for children with SEND and provides tuition for our pupils with additional educational needs. If you have any questions or concerns please do not hesitate to contact us. Our class teachers are always happy to talk and, if you need a more in-depth chat, Miss Halstead and Mrs Ashton will both be happy to see you.